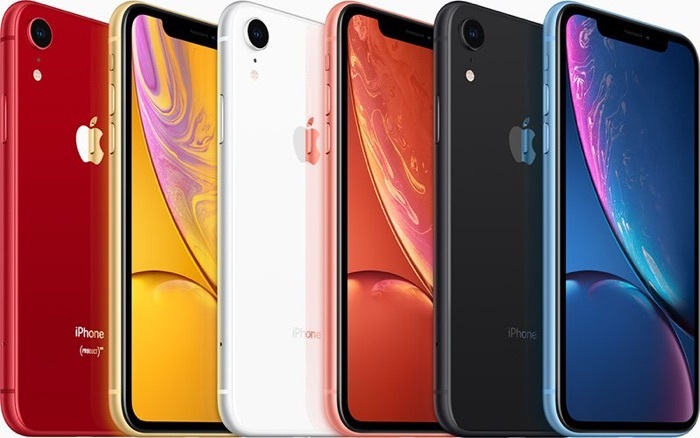 The iPhone XR is now available in the UK from Apple and it is also available from a range of mobile carriers in the UK, this includes Vodafone who have sent us details of the contracts they are offering. The handset is available on a range of different contract with Vodafone with prices starting at £40 a month with £49 up front. The new iPhone XR is now available to purchase at Vodafone UK. Customers can pick up the new Apple smartphone in White, Black, Blue, Coral, Red and Yellow. It is available for £50 per month (£49 upfront cost) on a Red Extra plan, which includes unlimited minutes, unlimited texts and 26GB of data. Alternatively, pay £6 more a month for a massive 100GB of data. The iPhone XR is available on Vodafone’s Red Entertainment plans, which include a choice of Amazon Prime Video, Spotify Premium, Sky Sports Mobile TV or a NOW TV Entertainment Pass. Purchase the new device on a Red Entertainment 42GB plan and get a choice of content partners, as well as unlimited minutes, unlimited texts and 42GB of data for £57 per month (£49 upfront cost). You can find out more information about the new iPhone XR and the contracts available on Vodafone at the link below.